Survivor Reborn | Tomb Raider: The Dark Angel Symphony Kickstarter is now LIVE! Tomb Raider: The Dark Angel Symphony Kickstarter is now LIVE! 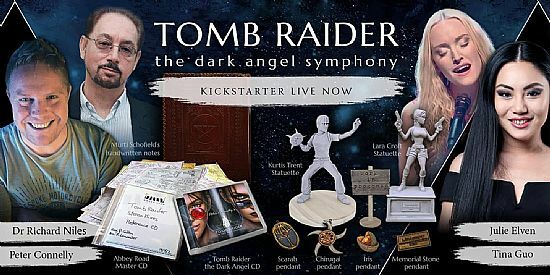 The Tomb Raider: The Dark Angel Symphony has just launched its Kickstarter campaign. The project aims to produce a world-class studio album of Peter Connelly's Tomb Raider music, using a live orchestra and top names including Tina Gup, Julie Elven, and Dr Richard Niles.